A large percentage of Namibia’s inhabitants live in the Omusati, Oshana, Ohangwena and Oshikoto regions between the Etosha National Park and Namibia’s northern border with Angola. After the capital, this region has the largest urban concentration of people in the country. The major portion of these four regions, which have a total surface area of just over 56 100 km2, consists of communal farming land, that is land where there is no individual ownership or demarcation, and where the majority of the inhabitants live from subsistence farming. Life on the vast plains of these essentially agricultural regions depends on the seasonal efundja, the floods that feed the rivers and oshanas. The latter are flat, shallow depressions, many of which light up with copious growths of white lilies soon after they have filled with water in the rainy season. The origin of these waters is the highlands of Angola. After a long journey southwards, the Cuvelai River disperses its contents into many channels, covering the sandy flats of southern Angola and spreading into northern Namibia to form a large expansive delta of rivulets and oshanas. These, in turn, provide drinking water to humans and animals, protein in the form of fish and a habitat that supports large numbers of aquatic birds. The essentially flat landscape is characterised by huge spreading marula trees and sporadic stands of the tall makalani palm, Hyphaene petersiana. Sap is tapped from the growing tip of the stems of these palms and left to ferment into a potent drink called palm wine. The fruit of the makalani palm takes two years to mature, and has a white, bony kernel. Referred to as vegetable ivory, the hard kernel is suitable for carving small ornaments, jewellery and curios. The best time of the year to visit these regions is April or May, after the rains. By this time the roads are suitable for driving on, the heat of the summer has abated, and the wetlands still host many water birds, such as cranes, storks, ducks, herons and small waders. Owambo’s two main centres, Oshakati and Ondangwa, are in the Oshana Region. These two bustling towns have the same informality and happy-go-lucky character as urban centres throughout much of Africa. Their main streets are lined with a haphazard arrangement of residential houses and shops, and the traffic varies from donkey carts to the latest in luxury four-wheel-drive vehicles. The Oshakati Omatala (open market) is the largest in Namibia, and is a big tourist attraction in the north. The Tulipamwe Sewing Project in the main street of Oshakati – marked by the vibrant pink materials on display – is a great place to learn about traditional Oshiwambo attire and buy yourself some unique clothing. The Ongwediva Trade Fair has been held annually since 1995. Apart from an array of local stands, it also hosts exhibitors from Botswana, South Africa, Ghana, Kenya and Zimbabwe. Situated across the road from Ongwediva Medi Park, Bennie’s Entertainment Park and Lodge is a popular meeting place that provides leisure activities in many forms. Afrika Stadt Haus is another good place to enjoy a meal or a drink. The town hosts two modern shopping malls, which feature the most popular fast-food restaurants, including a Silver Wolf Spur, and an assortment of retail outlets. Since independence, the Oshakati-Ongwediva-Ondangwa complex has experienced dramatic urban growth. The complex plays an increasingly important commercial role in the north and has considerable industrial potential. 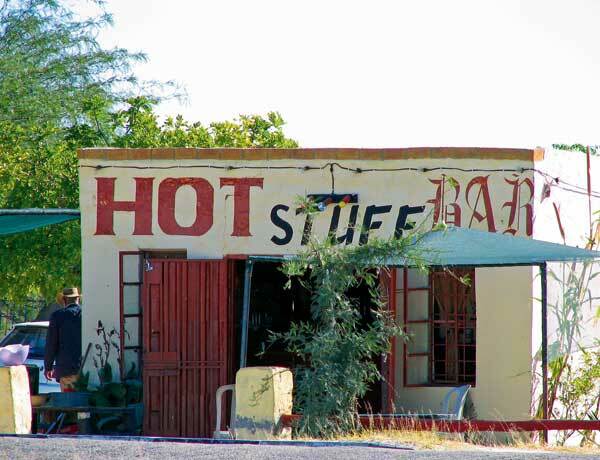 The Ondangwa SME Start-Up and Tourist Information Centre is a good place for visitors to find their bearings and gain access to information on the surrounding area. Call the Ondangwa Town Council at 065 24 0101 to be transferred to the centre. In close proximity to the town, at Olukonda, is the oldest building in northern Namibia, the Nakambale Mission House. 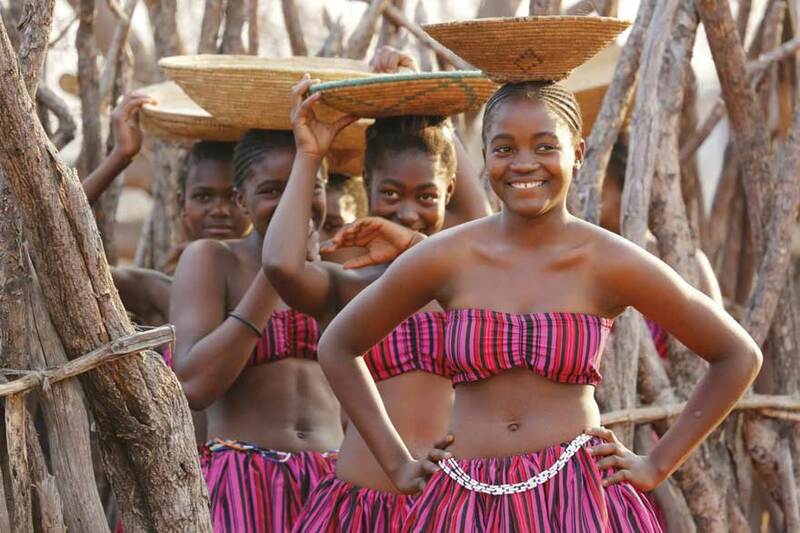 A new concept for Namibia, the Ongula Village Homestead Lodge, allows visitors the opportunity to experience authentic village life at an Owambo homestead. 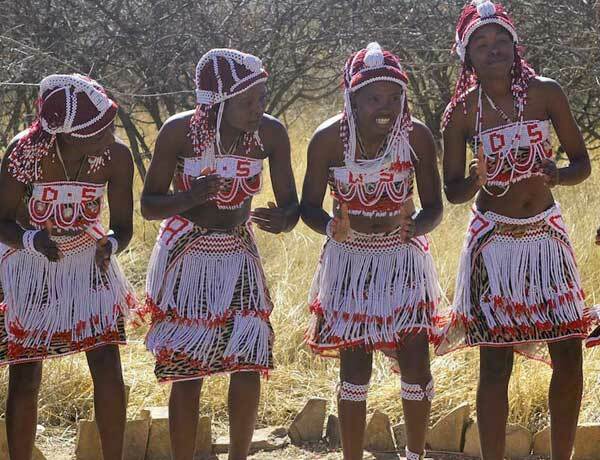 Situated in the Omusati Region, west of the Oshana, is the newly opened Uukwaluudhi Safari Lodge from where guests can further explore the Owambo culture through visits to the Uukwaluudhi Royal Homestead and Museum at Tsandi. Situated about 85 km from Opuwo, Uukwaluudhi Safari Lodge also offers the opportunity to learn more about the nomadic Himba people living in the area. Air Namibia conducts flights to and from Ondangwa, twice daily, seven days a week. The annual Mahangu Festival and Mahangu Championship, locally known as Oshipe, and held after the harvest in August/September, is hosted in the region of the Overall National Crown Champion, which includes all the northern and north-eastern regions, where mahangu (a kind of pearl millet) is the staple food for many. The festival creates a platform for mahangu farmers to share ideas, motivate each other, and engage in healthy competition while showcasing their products. Important topics of discussion include the improvement and modernisation of mahangu production by introducing new technologies and cultivation methods, and by improving soil fertility. The festival is organised by the Namibian Agronomic Board. For further information, contact Hayley Allen at 061 24 7245. Tourism in this vast flat region, typified by oshanas, makalani palms and herds of cattle, used to be virtually non-existent. However, these days it is steadily increasing. The area has a rich and interesting cultural and historical tradition, which can be explored by visiting some of the sites in the surroundings. In Oniipa (just outside Ondangwa), craftspeople at the Dorkambo Teppiche Co-operative produce hand-woven carpets from 100% pure karakul sheep wool. The town also hosts the historical Onandjokwe Lutheran Hospital, named after its first female nurse, and built in 1911 by the Finnish Missionary Society. It is still in use today, serving as the primary health-care facility for the Onandjokwe District. The Eenhana Heroes’ Memorial Shrine depicts the history of the liberation struggle, and acknowledges the courage of the People’s Liberation Army of Namibia (PLAN) combatants and civilians who supported them. The main attraction at the Ombalantu Baobab Heritage Centre is a huge baobab tree estimated to be around 800 years old. During tribal wars the tree served as a post office, chapel and hiding place. The centre, located in Outapi, also offers camping sites laid out under the tree, a small kiosk, a craft centre and facilities for day visitors. A unique underwater dumping site located 24 km north-west of Tsumeb in the Oshikoto Region had its origins in 1915 when retreating German forces dumped their military equipment into Lake Otjikoto during the South West Africa Campaign. Many years later it was discovered by members of the Windhoek Underwater Club, who realised that the armaments and weaponry dated back to the First World War. What’s left of these interesting relics can be inspected by qualified divers. Today the majority of the armaments are on display in the Tsumeb Museum. The 130 metre-deep Lake Guinas, which lies north-west of Otjikoto, is noted for its beautiful setting and the dark inky-blue colour of its water. However, since it is on a farm, permission to view it needs to be obtained from the farmer. Visitors to Namibia who are qualified divers are welcome to join club members on a journey of underwater exploration to view these two interesting curiosities. A rare, mouth-breeding species of tilapia or dwarf bream is found in both these subterranean lakes.